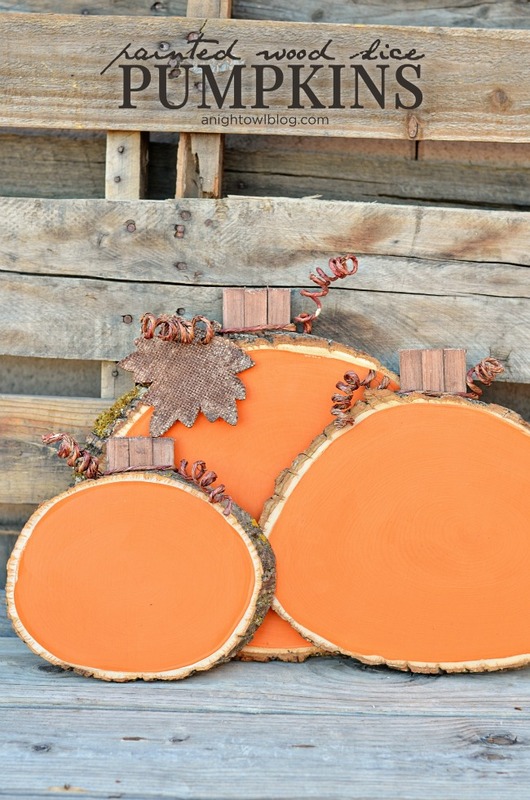 Simply paint your wooden plaque with the orange acrylic paint. While that’s drying, paint the balsa wood sticks with brown acrylic paint. 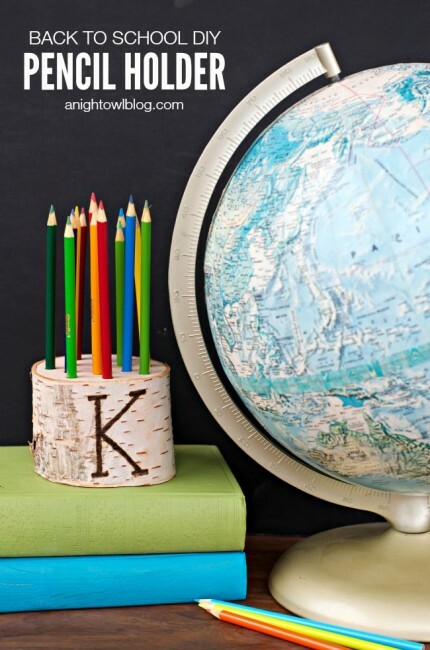 Glue the balsa sticks to the back of the wood slice. Cut a length of coiled floral wire and wrap around balsa sticks. And voila! 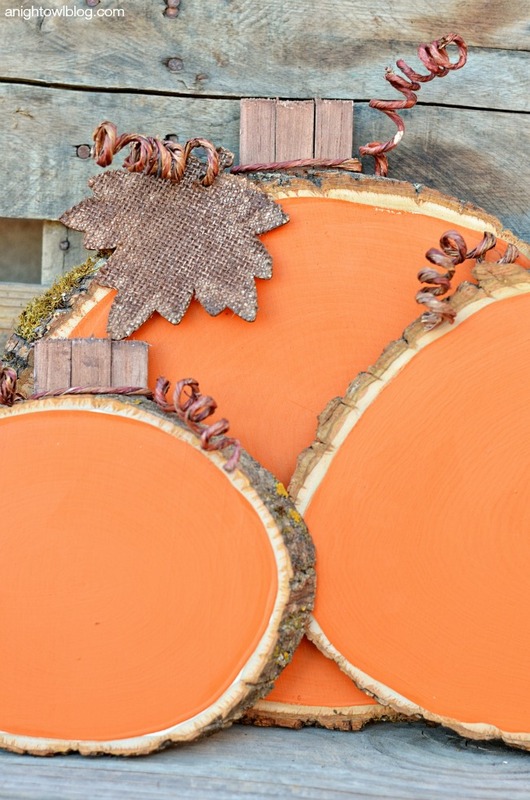 Perfectly Painted Wood Slice Pumpkins. Aren’t they just the cutest little pumpkins you ever did see? Crazy easy to make too. You can make yourself a little collection in just one afternoon! 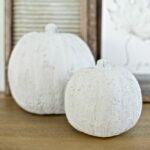 These Painted Wood Slice Pumpkins would be perfect Fall Decor for so many things! Your mantel, wall decorations, even arranged on your party buffet! 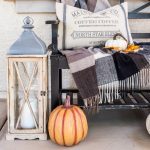 I love seasonal decor that is versatile – you can get SO MANY uses out of them! Looking for MORE Autumn inspiration? Check out Michaels’ Fall Market lookbook! If it’s not table décor that you’re looking for, Michaels has you covered from pumpkin decorating to wreath making, wall art and more. 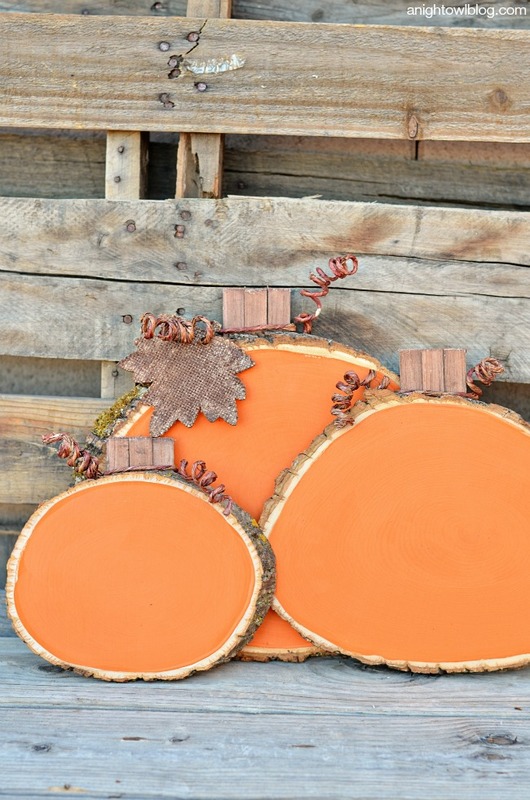 There are all sorts of easy fall and holiday themed projects for your whole house on Michaels’ Fall Project Page. And it’s time to start pinning for the fall! 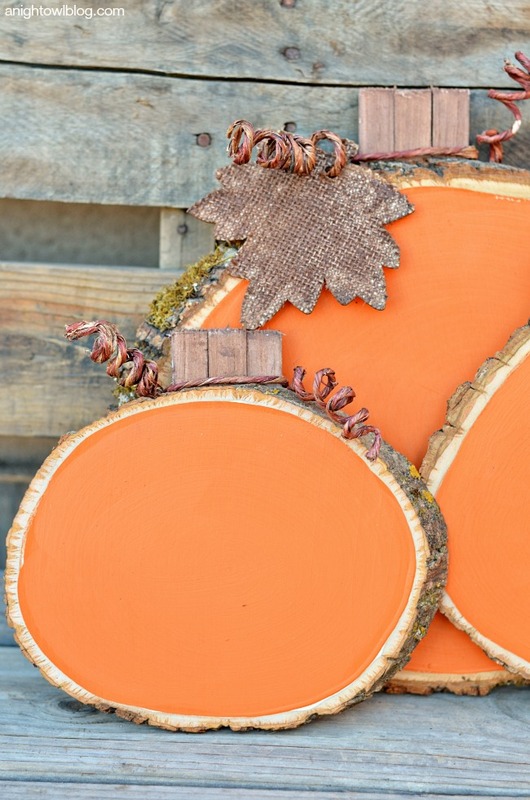 Browse Michaels’ Fall Ideas Pinterest board to get started. 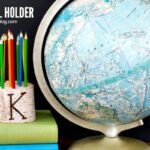 DIY Pencil Holder Teacher Gift Now hop around to MORE Fall inspired projects by the other marvelous Makers! 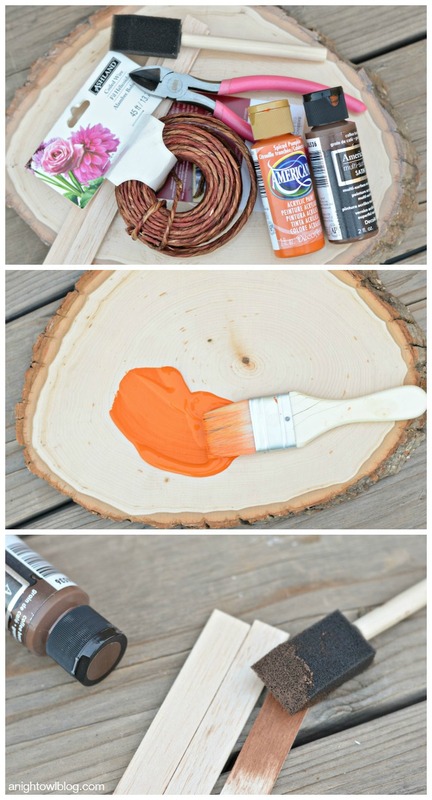 What a fun, simple fall DIY. I like it! I love love love these!! So cute, Kimberly! These are so adorable, I love them! 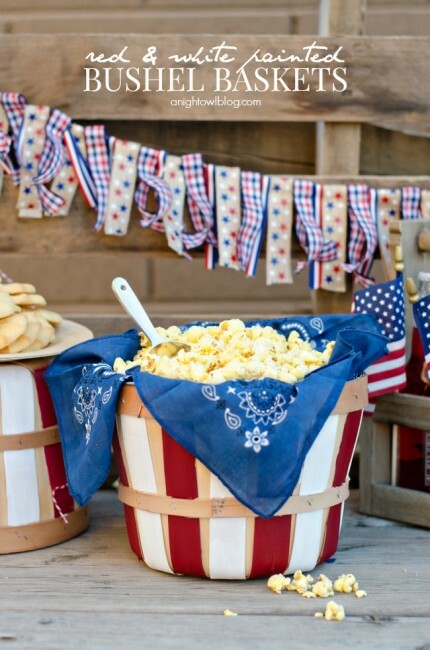 Next time I’m at Michaels I’m definitely picking up everything I need to make these! Awww! Thank you so much Maraiah! These are super cute!!! I love them and they are so versatile!! Love them!! Oh, I love these! What a great idea! Can you possibly post a SKU# for the plaques? I have searched Michael’s website but not finding them. What size are they approx.? I love this. It is so cute and looks easy to make. 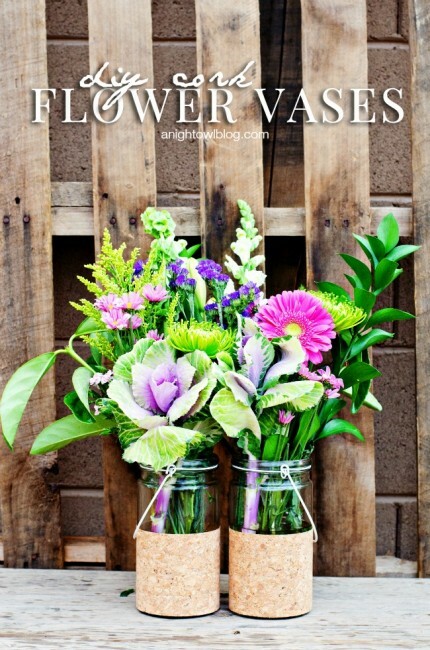 I want to make some. Guess I will have to make the hubby cut me some wood. Pinned and shared! Cutest thing ever!! Love love it. Definitely going to make these. Found you on “Time to Sparkle.” This is so clever and cute!! 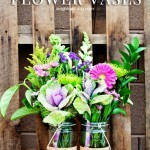 Adorable, rustic and different, love them! 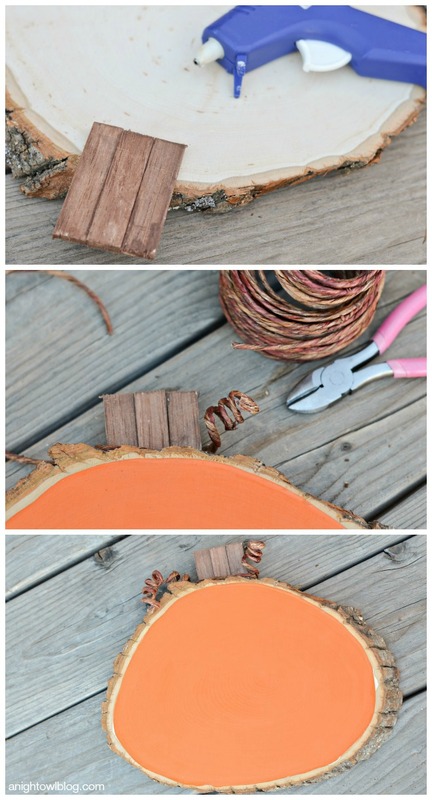 Love this simple, yet fun fall craft!. I’m pinning this to my Fall Inspiration board. this is so cute! i had to come over and tell you, after i saw this featured on 36th ave. I am wondering what was used as the “leaf” on the pumpkin above? That was my fave part and there was no info for that! Thanks so much! Haha – good observation, Erin! It’s just an ornament I found at the craft store! If you can’t find a similar one, you could just cut one out of card board or card stock and cover with burlap for the same look. Hope that helps! Where do you buy those plaques? Great job on your project! Hi Beverly! You can find them in the woodworking aisle of your local Michaels. Hope that helps!